Many minimally invasive procedures have been developed over the past decades, leading to a great improvement in eye surgery. This unique textbook and reference guide provides a complete up-to-date overview of minimally invasive surgical techniques in ophthalmology. 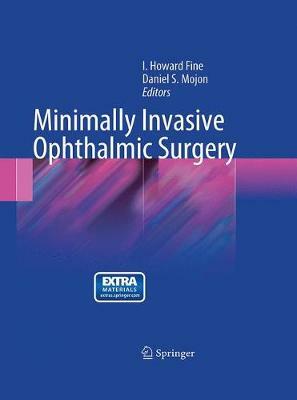 Lavishly illustrated with superb illustrations and video clips, it presents the state of the art of minimally invasive ophthalmic procedures. It serves as an invaluable resource for all ophthalmic surgeons with widely varying levels of experience, from the resident to the experienced surgeon.